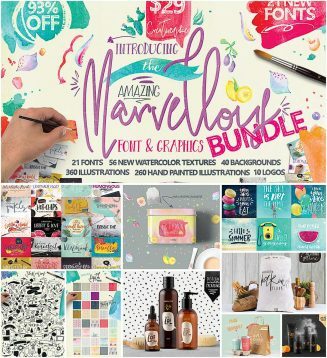 Set of 100+ patterns, fonts, illustrations for creating lovely designs. File format: .otf, .png, .psd for Photoshop or other software. 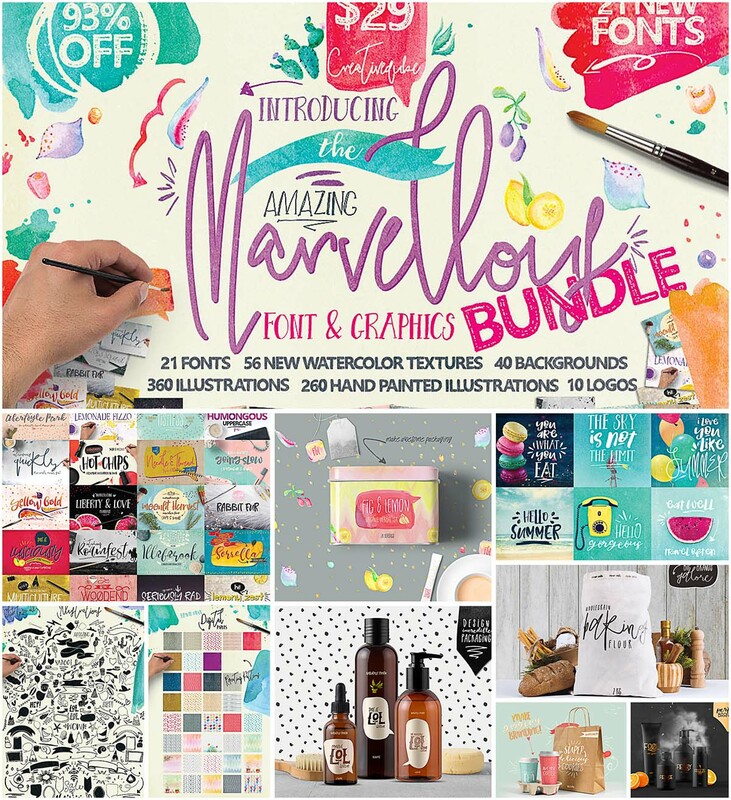 Tags: brush font, digital paper, hand drawn, hand painted, illustrations, logos, pattern, script, watercolor.